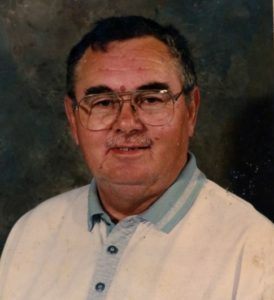 Benson, NC: Mr. James Theodore McCraw, age 75, of 471 Turlington Drive died Thursday at SECU Hospice House in Smithfield. Funeral Services will be held 3:00 PM Sunday, October 14, 2018 at Rose & Graham Funeral Chapel in Four Oaks. Rev. Jimmy Hall will officiate. Burial will follow in Barbour’s Chapel Advent Christian Church Cemetery, Four Oaks. Mr. McCraw was born on March 20, 1943 in Rockingham County to the late Huel Christopher and Elizabeth Haley McCraw. He is preceded in death by his wife, Brenda Kay McCraw; a son, James Theodore McCraw, Jr. Mr. McCraw was a retired plumbing inspector with the City of Raleigh. Surviving are his children, Kimberly Ann Frye and husband, Michael of Durham; David McCraw and wife Julie Ann of Benson; Stephen Marshall McCraw of Oak Island; eight grandchildren; four great-grandchildren; brother, Johnny Baker of Warrensville, SC; sister, Carolyn Riley of North Augusta, GA and several nieces and nephews. The family will receive friends from 1:30 PM to 2:30 PM Sunday at Rose and Graham Funeral Home in Four Oaks prior to the service. In lieu of flowers; memorials may be made to the American Parkinson Disease Association, 135 Parkinson Avenue, Staten Island, NY 10305.